home > Take your pick! NEW favorites in Harvest & Pumpkin Patch for a fab fall! Take your pick! 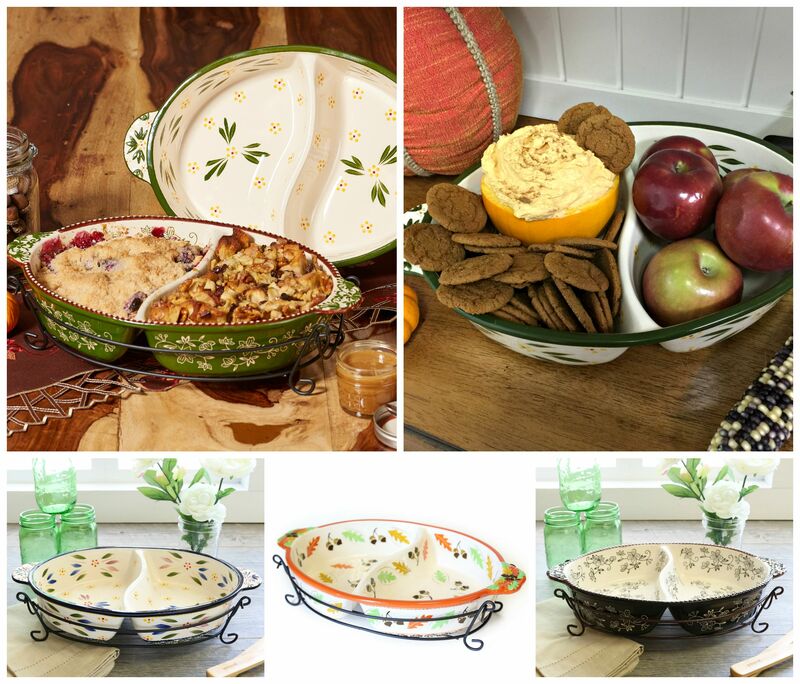 NEW favorites in Harvest & Pumpkin Patch for a fab fall! Sweater weather. Apple picking. Pumpkin spice everything. A roaring bonfire on a chilly night…and now, there’s one more thing to add to your list of favorite fall things…my new Old World Pumpkin Patch pattern! Just like customer-favorite Old World Harvest, I designed Pumpkin Patch to celebrate everything that’s warm and welcoming about autumn. And this limited seasonal design is exclusive to temp-tations.com! 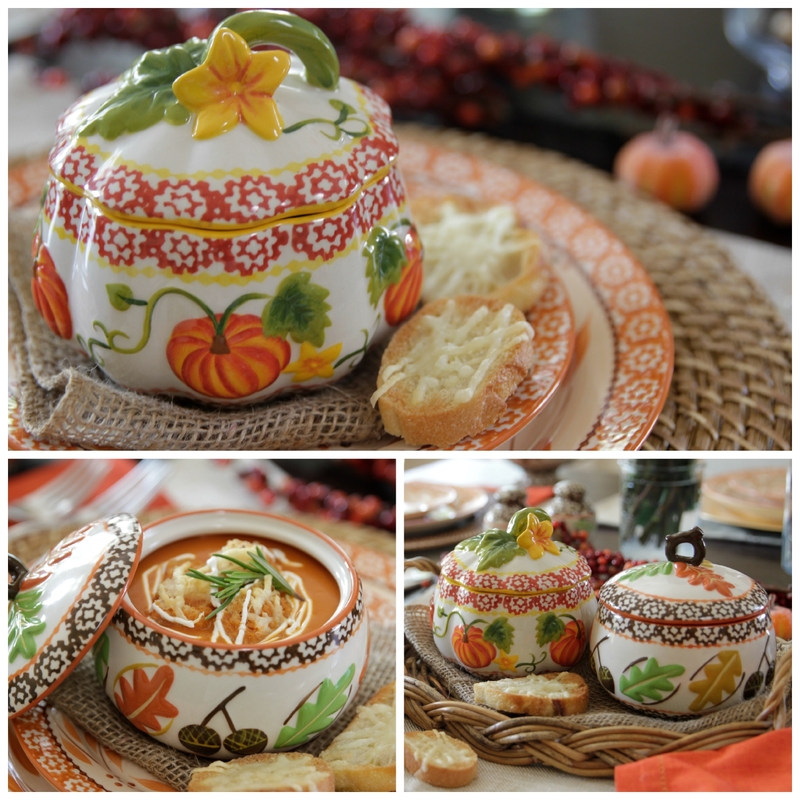 Take one look at this Set of 2 Lidded Soup Bowls and you can almost taste your favorite fall soups, holiday casseroles, cobblers and more. Mix and match these patterns — with each other or your current temp-tations pieces — for a festive and fabulous holiday tablescape. Or dish up a single serving of cozy comfort to warm yourself up on those crisp autumn nights. Best of all, I’ve designed plenty of brand new arrivals in these must-have, limited seasonal patterns for fall. And I can’t wait to see how you add them and personalize them for your own decor. 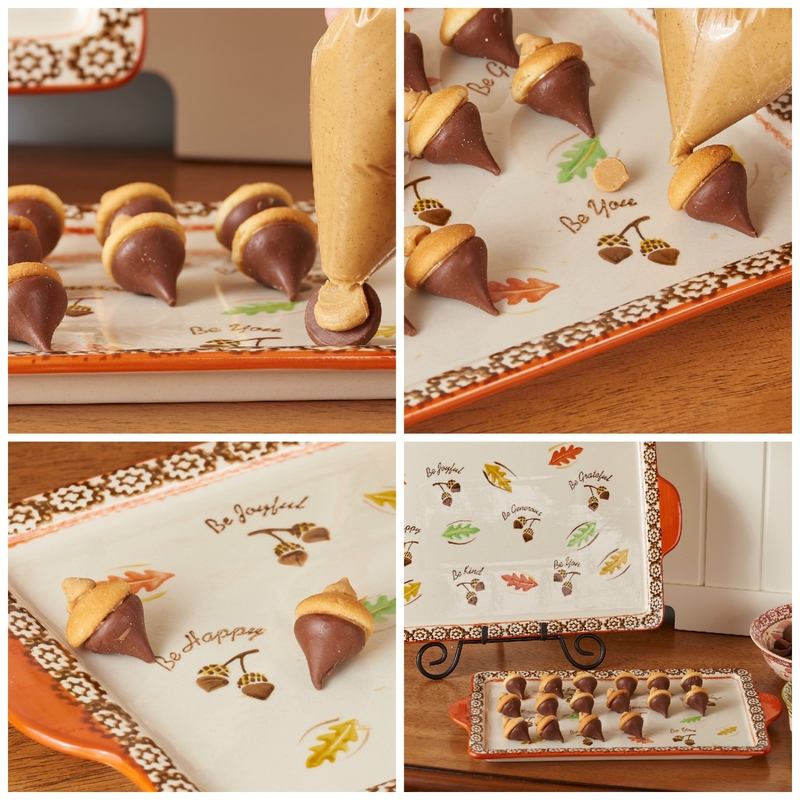 Here are a few ideas for fun-filled fall entertaining to get you started. 1. Host a pie-swap. Who says holiday cookies should have all the fun? Fall is the perfect time to invite some friends over for a pie swap. 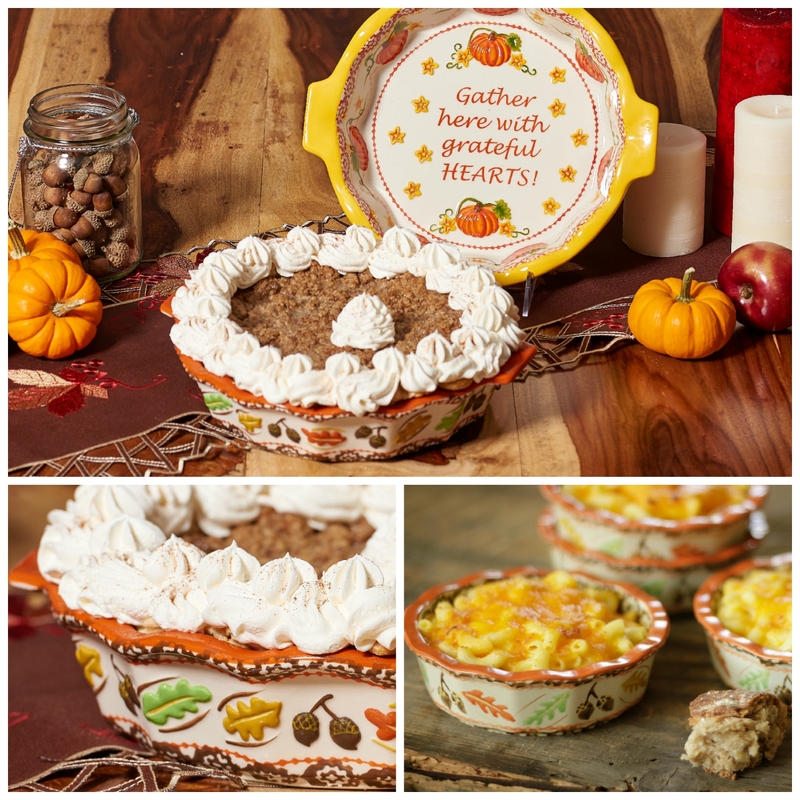 And my new Pie Plate in Old World Harvest and Pumpkin Patch features just the right heart-felt sentiment. Here’s how the party works: Each guest brings a pie (like my Orange Sweet Potato Pie, seen here), printed -out recipes to share and a spare pie dish to carry home any leftover pie slices. Encourage guests to bring a mix of savory and sweet pie options, so you can make a delicious meal of it! And if you really want to go the extra (pie) mile, you could even bake up some take-home mini pies in my Old World 6-pc. Baking Set, now back in stock in best-selling Old World Harvest. 3. Solve family feuds…deliciously! No matter where I celebrate Thanksgiving, it seems there are always some guests who favor mashed potatoes and others who prefer candied sweet potatoes. My new 2-qt Divided Baker in classic Old World and Floral Lace colors is the perfect solution for feuding foodies! An elegant divider makes this versatile piece two 1-qt bakers in one, so you can easily prep, cook, serve and store two different kinds of potatoes, veggies, desserts, lasagnas, cobblers…the options are endless! For more delicious seasonal recipes, be sure to browse some of my favorites below. It’s never to early to start taste-testing those holiday menus. 😉 And be sure to share some of your family favorites in the comments, on my Facebook page or on Pinterest!